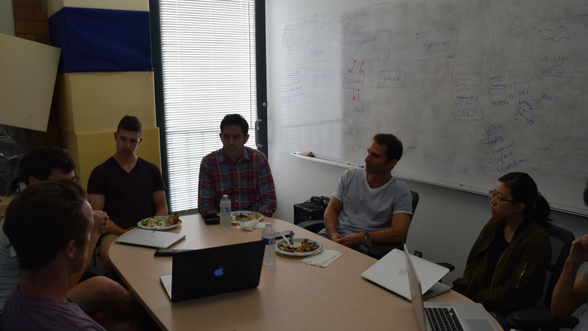 The application for the Startup UCLA Summer Accelerator Program is now available. Pull together your startup team and apply! Teams must include minimum of 2, maximum of 3, members. At least 50% of the team must be UCLA students, or recent alums (graduating within 2 years). The program starts on July 9 and will run for 10 weeks. Team members are expected to spend full time during this period working on their startups, and will be paid a fellowship. Applications should be submitted online by May 7, 2012. Do you want to join a startup? Or are you starting a company and looking for people to join your team? Or maybe just interested in meeting other members of LA’s startup scene? Startup UCLA and TEC Bruins can help with our Spring Networking Night! The event will run from 6-9 p.m. Wednesday April 18 and will feature food, a mixer, a panel presentation on networking tips and tricks, and a recruitment fair for UCLA startups. No matter where you are in your plans, this is your chance to really connect with people who can help you achieve your startup goals. 7:45-9: [Track A: Recruitment Fair] in YRL Presentation Room: Startup companies will have table space and will be able to talk to interested recruits. Startups can use our RSVP form to register for their table. 7:45-9: [Track B: Mixer] in YRL Conference Room: For those who don’t need to recruit people to their startup or aren’t at the stage where they’re ready to join a team, they will have a chance to practice their networking skills and techniques in a mixer immediately following the panel. Please use our RSVP form to sign up for the event and give us information for your pre-printed name tag. Companies wishing to sign up for a space at the recruitment fair should use the same form, and follow the instructions for registering their startup. Space at the event will be first-come, first-served, so please register as soon as possible to make sure you’ll get a space.